Lion cub used as photo prop was confiscated yesterday. Last week ESAF society (Egyptian Society of Animal Friends) reported that a lion cub is being used as a photo prop at Solidaire restaurant in Mohandessin. As a result the cub was confiscated yesterday. We encourage people to act positive and to report to the Utility Police Force - Confiscation department. FREEDOM FOR THE FENNEC FOX - Hurghada 17 Dec. 2010 - Great Animal People of Hurghada the trio : Heather + Doris + Helena - thank you to National Park Officers + EEAA Engineer Wahid + A complaint was received Magdalena who visited Hurghada - Egypt about 2 weeks ago, she went to a tour visiting a bedouine village. She ...reported abuse of animals, wildlife captured and held in horrible condition.. 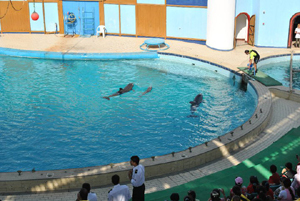 Immediately AWAR coordinator got in contact with Animal People of Hurghada, Doris and Heather Nagy, necessary calls were made to EEAA Ministry of Environment, Egyptian Environmental Affairs Agency, we got in contact with the Manager of EEAA in Hurghada, Engineer Wahid and National Park Officers. 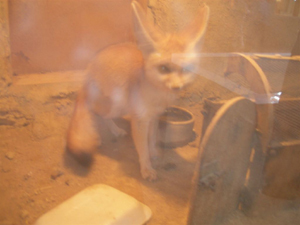 Confiscation took place on the 17th, great Animal People of Hurghada with authorities headed to the location and the fennec fox was confiscated and released in the wild. January 7, 2011 -- Today two reps acting on behalf of S.P.A.R.E. 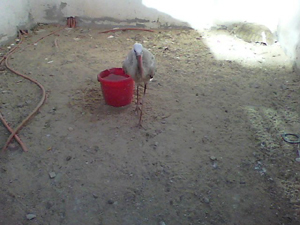 asked for support from National parks Hurghada and confiscated a stork which has been held on an apartment complex . Mr Storks wings and back tail feathers have been clipped down so far he is not able to fly . He has been on this dirty patch of sand for a long time and it stinking ! Tomorrow he will have a nice shower and more yummy fresh fish !